Hair stylists in Dubai is one of the most sought after topics; because we always need someone with whom we can fully trust our tresses, whether it is about reinventing our customary semblance or getting a cool Dubai holiday look. Dubai is a fashion central where you can get benefitted by the proficiency of maven hair stylist who can succor you in having latest haircuts, stylish hairdos and trendy colors of the season. This fashion bliss has a super talented pool of British, Australian, Irish, Turkish, Lebanese, Iranian, Pakistani, Swedish and Syrian hair stylists that just not only rock the local industry, but also have regular celebrity clients, who fly all the way from different corners of the world to rejuvenate their tresses magically done by their golden fingers. If you are in Dubai and looking for a hair stylist whom you can trust with your tresses, then this rundown could be a great help at hand. Dubai has numerous super talented hair stylists whom you fully trust while sliding down into the chair without being scary for any terrible hair job. Here suggested are the best men’s & women’s hair stylists in Dubai, (yet there is a lot more), who may help you having a new look every season. Charbel El Khoury is a 32 year old, Lebanese hair stylist in Dubai, who just have magic in his golden fingers with an experience of over 15 years. 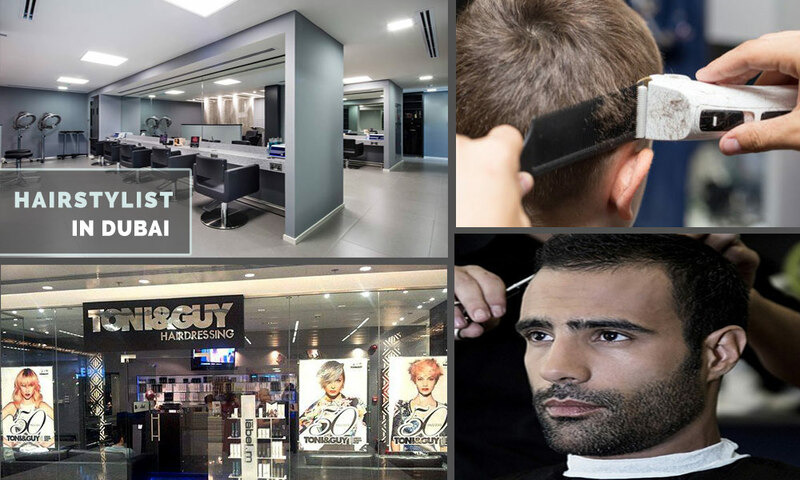 Khoury is a men’s stylist in Dubai who can be traced at the Urban Male Lounge by fixing a prior appointment. Encumbered with professionalism and splendid styling skills, Khoury is a real gem who has all the powers to transform your hair, appearance and personality. Urban Lounge is placed in the Mall of the Emirates, Barsha – Dubai and remain open between Mon – Sun 10 am – 9pm. Joseph Ong is a 29 year old Bruneian hair stylist Dubai, who has been in the profession for more than 10 years. Joseph is the pride of the Toni & Guy Salon as the artiste manages renowned name in men’s and women’s styling industry. Joseph is a true nugget as he always knows which style is exactly going to suit your personality. When having an appointment with him, you are sure to have something different rather than being served with the same that is dished out to everyone. You can reserve a prior appointment with Joseph at Tony & Guy placed in Grand Hyatt Dubai, Oud Metha Branch, near Wafi City Mall – Bur Dubai or at Dubai International Finance Centre, The Gate, Marble Walk –Dubai. Hiesam’ Abdul Rahman Zakaria is one of the youngest hair stylists for men in Dubai. This 24 year old Syrian artist has been in the profession for more than 7 years and can be traced these days in 1847 – The salon. Hiesam is one of the finest hair stylists in Dubai, who values your desires and happiness the most. While leaving your tresses to him you can be certain that he will do the best for them while delivering exactly what you need; but offcourse with his signature touch. 1847 is placed on the 4th Floor of Grosvenor House Hotel – Jumeirah Beach Residence, Al Sufouh Road, The Walk – Dubai Marina. You can just dial up to reserve a suitable slot with Hiesam between 9am-10pm. Tracy Dockery herself got the true stylish yet elegant personality. This Irish lady is one of the finest women’s stylists in Dubai. Although she is only 27, she upholds an experience of 7 years within this profession. With Tracy, you can trust to get the trendiest and happening hairstyle of the season. You can reserve a prior appointment with Tracy at Salon Ink located on the Jumeirah Beach Road – Dubai. Nicola Wilcox is a 28 year old British hair stylist for women in Dubai. She is highly experienced as she has spent 14 glorious years of her profession in hair styling. A true chic by personality, she exactly know what to do with your hair. You can have a top-notch hair styling by Nicola at Chill Salon, which is one of the finest ladies salon and men’s barber shop in Dubai. Chill Salon has two branches located at Loft 1, No.407, Entrance B, Floor 4 – Media City; and 2nd Floor, Intercontinental Hotel Dubai Marina. Dial between 9am – 9 pm for reservations and appointments. Last but obviously not the least in our rundown is Jacques Hanna, who is one of the most loveable hair stylist in Dubai. Jacques is a 35 year old Lebanese stylist with 14 years of experience in business. Jacques has supernatural fingers that can just play with your hair to give an absolute new modish guise. You can fix an appointment with this mystical stylist to do charm to your tresses, at Jacques La Coupe which is located at The Address Hotel – Dubai Marina. These are some of the best hair stylists in Dubai, which will definitely give a unique look to your hair. If you have tried one of the above mentioned hair artists in Dubai and would like to share your experience, please add comments below. Its a shame you missed writing about Chill Salon Mens Barber Shop in Intercontinental Hotel Dubai Marina.I been there lots of times and its best service in terms quality, customer service, timeliness, style and sense of beauty of professionals. (especially for such a meticulous lady like me when it comes to my hair ). in addition i have received a professional advise on how to take care of hair.. Highly recommend.